The 950K PAT SmartGrade dozer incorporates an EPA Final Tier IV/EU Stage IV John Deere 9.0-liter (549-cubic inch) engine with 280 hp (209 kW). North America's largest power-angle-tilt (PAT) crawler dozer now boasts the benefits of John Deere SmartGrade. Adding SmartGrade technology to the Dubuque, Iowa, manufactured 950K PAT improves the quality of work and job site accuracy through the complete integration of the Topcon 3D-MC2 grade-control system. The system is fully incorporated into the machine cabin, structures and software — delivering precise grading performance while eliminating vulnerable external masts and cables, according to the manufacturer. A key feature of the integrated machine control is Auto SmartGrade. This allows the operator to easily adjust the system when moving the machine from one soil type to another, unlike an after-market system, which often requires the GPS manager to make a trip to the machine to recalibrate the system. Particularly helpful to new operators, Auto SmartGrade automatically lifts the blade over heavy loads before track slippage occurs, then returns the blade to grade. SmartGrade also limits the number of passes required, reducing the pace of wear on the undercarriage. The John Deere SmartGrade dozer is nearly 7 percent more accurate across the entire speed range of the dozer when compared to conventional masted systems, according to the manufacturer. The 950K PAT SmartGrade dozer incorporates an EPA Final Tier IV/EU Stage IV John Deere 9.0-liter (549-cubic inch) engine with 280 hp (209 kW). The efficiently designed hydrostatic powertrain will get approximately 15 percent more power to the ground versus a conventional torque-converter powertrain. The John Deere dual-path hydrostatic transmission allows an operator to push a full load through turns without losing material, unlike conventional torque-converter transmissions on competitor machines, according to the manufacturer. The 8.6-cu. yd. (6.6 cu m) six-way PAT blade gives the operators the flexibility to place material where they want it on every pass using the blade angle feature. The PAT enhances job site productivity and versatility by executing several tasks that might otherwise require multiple machines. 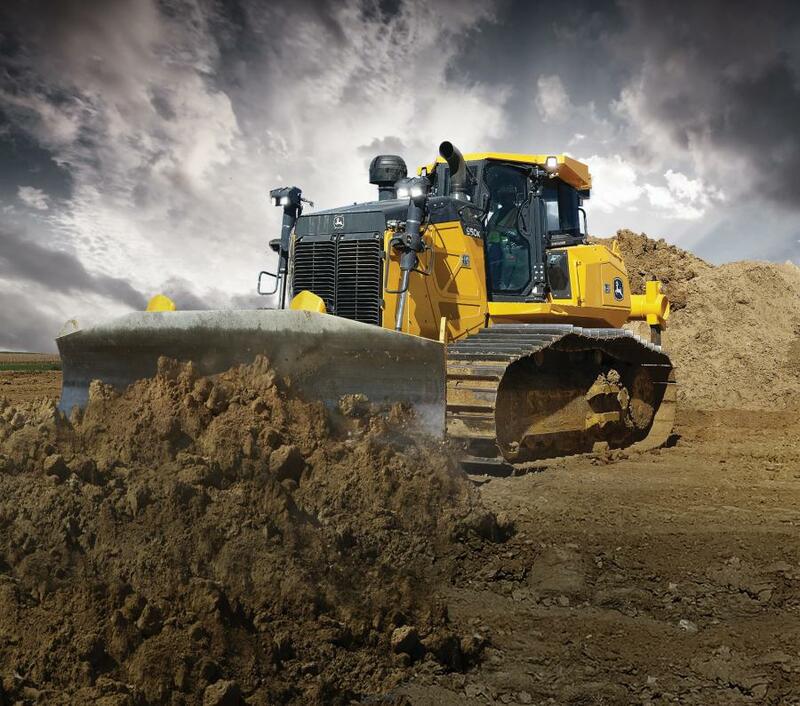 Fleet managers looking to get the most out of their 950K PAT SmartGrade dozer can rely on their John Deere dealers to provide Ultimate Uptime, featuring John Deere WorkSight. With Ultimate Uptime, owners receive predelivery and follow-up inspections that include five years of JDLink telematics, machine health prognostics, remote diagnostics, programming capabilities and the ability to add dealer-provided uptime solutions to a customized package.